Mahindra and Mahindra has started working of the next generation 2014 Mahindra Scorpio aka W105 which is the codename for the next generation Scorpio project. The Scorpio SUV has been ruling the Indian roads in its segment for many years and has been the undisputed kind in the price range. The fuel efficient and reasonably priced Mahindra Scorpio with modern technologies like start-stop micro hybrid system and loads of other features including some variants with a 4 wheel drive system for serious off-roading fans, Scorpio is one of its kind SUV in the price tag of close to Rs. 10 Lakh. After the entry of newer entreats like new Tata Safari Storme, upcoming Renault Duster and Ford EcoSport, the Scorpio may start to seem bit dated. To keep the Scorpio going strong and long on the Indian roads, Mahindra and Mahindra is working on a new modified platform model of 2014 Mahindra Scorpio which will have longer wheelbase for larger leg space and better handling characteristics and will be more spacious and modern with a more powerful engine to boost its performance. 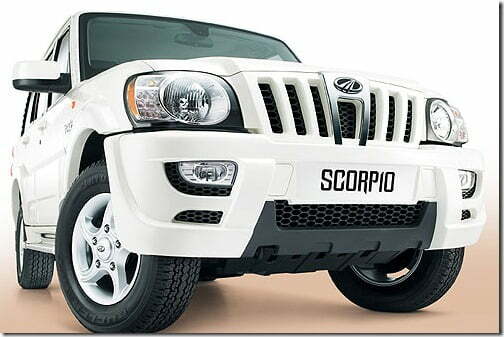 The all new Scorpio is under development at Mahindra’s research facility on Chennai called the Mahindra Research Valley. Mahindra is expecting to achieve the kind of response which it has got for its popular Mahindra XUV500. The development of New Scorpio or W105 is on high priority and will help Mahindra stay ahead in India in the SUV segment. Unlike the monocoque frame construction of the Mahindra XUV500, the 2014 Scorpio will have a ladder frame construction with rugged and strong structure. The new Scorpio will be larger in dimensions and higher on features compared to the first generation Scorpio. Considering that Mahindra and Mahindra has loaded the XUV500 and 2012 Xylo with loads of gadgetry and features, we expect the new Mahindra Scorpio to also have a large feature list as Indian buyers really like their car loaded with modern gadgets and features. Recent technology features from M&M used in the Xylo E9 is the voice command feature which we expect may become a part of the XUV500 and Scorpio in coming years. Also Mahindra is also working on developing Automatic transmission system for its SUVs, which may also features in future models of Mahindra SUVs in India. Below is a video remonstration of Voice Control Technology Feature on a Mahindra Xylo E9. We will keep you posted on the new developments in future. Stay tuned to us by liking our official Facebook Page.